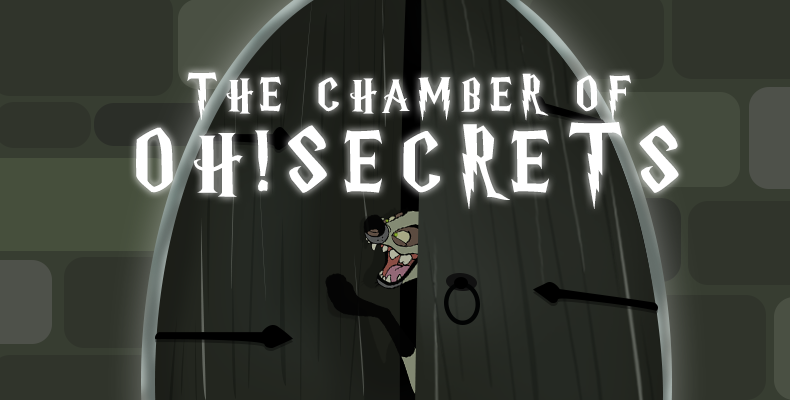 Chamber of OHsecrets! starts 4pm est tuesday! You hear music from the dramaquinn girls bathroom. you enter to find gretchen ghost dancing . Gretchen" ehh you want to know the entrance to the chamber? follow me!" she takes you to the corner of the bathroom revealing a hidden door. "the first lock riddle will show at tuesday at 4pm est. have fun down there"
Every 24 hours a puzzle/ riddle will be posted in each level. the first dorm to solve a level first will get house points. YOU CAN ONLY WORK WITH SOMEONE FROM YOUR OWN HOUSE. if a house member helps someone else they get disqualified. aw. i would like to participate, but i'll be away towards the end of the week =/. ill probably just do as much as i can for fun. oh good, i don't have classes at 4pm on any day! how do you prove that you got in? different dorms (e.g braggindor and lurkercrawl etc)are not allowed to help eachother. if they do this will lead to disqualification. only the dorm that solves the puzzle first and post in the thread in the locked chamber gets the points. Is tomorrow's game 5PM or 4PM EST? originally when i made the game and decided the points there was no duels. so having the chamber points the same as duels didnt make sense in harder puzzles..
the points for the first 2 where always lower then the rest cause they werent as hard. .
edit: i spoke to the team about it and they said it was mroe fair but in hindsight o should of announced it in a new post.